We sat down and discussed the best baby registries with over a dozen moms, with combined experience having over 35 babies. We took notes, and they gave ratings for each registry. 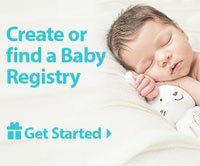 All of the parents had tried at least one registry, and provided us with thorough baby registry reviews, including Babies R Us, Babylist, Target, Buy Buy Baby, Amazon, WalMart, Pottery Barn Kids, Ikea, Crate and Kids, Diapers.com, and some smaller registries such as Giggle and Magic Beans. Note that the Babies R Us Registry shut down as of March, 2018, but we include some notes about it at the bottom of this page (just for comparison purposes). Below we tabulate all of the final results from our research. Note that we update this list every month, in response to changing terms and conditions of each registry, and in response to changing experiences in our community of parents. After our table of results, we give fuller reviews of the top 7 rated baby registries, using five primary criteria for selection: range of available items, competitive prices, fast shipping, easy returns, and overall customer service experience, If you have any questions or comments about our reviews of the best baby registries, find us on Facebook and leave a comment! We always appreciate reader feedback, and want to keep all of our reviews accurate and timely! Here are the Best Baby Registries of 2019! Everybody knows that Amazon.com has the largest selection of products on earth. Looking for full nursery sets? Got it. Gliders? Got em. Dressers, changing tables, cribs, toys, small appliances, books? No problem. You can add anything from a small set of receiving blankets to large furniture items, all at extremely competitive prices and with fast shipping (free if spending over $49, or if they have Amazon Prime, and who doesn't!?). Moms who used the Amazon baby registry loved that they could get anything under one roof, and didn't have to make several baby registries to cover all the different things they wanted. They also reported that Amazon customer service was excellent and the return or exchange process (within 90 days) was free and easy, and the gift giver does NOT find out that the gift was returned or exchanged (you can get Amazon credit to use toward other things). There are also a few other great features. First, Amazon uses what's called a universal baby registry, which means that you can add a button to your browser that will allow you to add products to your registry from any other website you might find. For instance, if you find something at Buy Buy Baby that you can't get at Amazon, you can add that item to your Amazon registry with a click of a button. Second, they offer a substantial completion discount of 10-15%. If you sign up for Amazon Prime you'll qualify for the full 15% discount; otherwise, you'll get the default 10% discount. The completion discount is eligible on remaining baby registry items within 60 days of the baby's due date (before it or after it), for up to $2000 worth of items (can be combined into one purchase, or divided into two purchases). This can amount to hefty savings: with Amazon Prime, you'll get a $300 discount on a $2000 purchase of remaining registry items. There is also usually a sweepstakes that you can enter for a chance to win your entire registry for free; obviously not a huge likelihood that you will win, but nice to have the chance. And they will send you a little welcome box with some product samples, usually like $30-35 worth of goodies. Amazon also has one of the most comprehensive and unbiased item review systems on the internet, with many products having thousands of candid user reviews, so you'll know what you're getting yourself into before deciding on an item. And of course, you might be able to find our own reviews of over 500 popular baby products (see our full list of reviews here). Overall, Amazon's baby registry is a clear winner of our best baby registry list for many reasons. Negatives? The moms who used Amazon's baby registry didn't report any major problems. One did note that not all items on Amazon are eligible for free 2-day Prime shipping, and sometimes it's nice to be able to visit the store to touch and see actual products rather than ordering only online (which I think is solved by the universal registry system, which allows you to add items from any store). To learn more about creating an Amazon baby registry, click here. According to our research, this is the second best baby registry option out there. It was a close second to Amazon, mostly because moms really appreciated that friends and families could buy online or in the store. They also could stop at a Target on the way to visit you (or on the way to your shower) to buy that last minute gift! So Target is definitely a good baby registry option if you have a lot of absent-minded friends and family members who need a convenient option. Target, like Amazon, has a very wide range of products available for registries: they have the little things, like receiving blankets and towels, up to the larger things like dressers, changing tables, cribs, and gliders. Their range of options isn't anywhere near as wide as Amazon, their range of baby-specific options isn't as wide as Babies R Us, and their reviews aren't as comprehensive as Amazon. Regarding selection, Target has recently started the "Add from Anywhere" which allows you to add items to your registry from other websites, which helps with some of the limited selection. But they do have fast shipping and your friends and family are likely familiar with Target and comfortable shopping there. In terms of negatives, if your friends and family buy baby registry items in-store, moms report that the return and exchange process is easy and fast, and the customer service folks are usually very easy to deal with. However, if the items are purchased online, some report horrible customer service (and several phone calls to India), and it's a crap-shoot whether the store will accept a return of an online purchase. Like Amazon, Target also offers a completion discount of 15% off items remaining in your baby registry within 6 weeks of your due date. That discount is 5% higher than the basic Amazon discount (without signing up for Amazon Mom), and starts 2 weeks sooner than the Amazon discount. However, keep in mind that the Amazon prices on many items might actually be lower, and 2-day shipping is free with Amazon Prime, so the net cost might be similar. Also, Target sells many items online-only, which some moms report can make in-store returns difficult or impossible (though Target claims otherwise). To learn more about creating a Target baby registry, click here. Second Runner-up: Babylist Baby Registry. This is the first year that the Babylist registry has made it onto our list, and we're excited by its selection, flexibility, discounts, shipping options, free gifts, and clever non-material gift options like dog sitting, baby sitting, and home-cooked meals. It's definitely one of the overall best baby registries available, and it takes a more personal approach to your needs, and we love that. Regarding selection, the Babylist website has direct access to hundreds of the most popular baby products, including the vast majority of products featured on our best-of lists. They even have some products you can't get on Amazon, like the Nuna Pipa and Nuna Rava car seats, which your friends and family can purchase directly from the Babylist website, and usually for the same price you find at the larger stores. If there's something you can't find on the Babylist website, you can access products from all the big box stores, and all the little ones, including Etsy and other Indie shops. This technically makes the selection one of the largest on our list. Regarding flexibility, you can add items from any store, big or small, to your registry, using the browser bookmark add-in (which was very easy to use! ), or their Android/iPhone app. The majority of baby products available on the Babylist website have free returns within a 90-day window. But if you add products to your registry from other sites (e.g., Amazon, Babies R Us, etc), you are bound to the return policies of those specific sites. Already registered at other sites? Babylist can easily link or transfer them to your account so they're all in one place! Like Babies R Us and Buy Buy Baby, there is a 10% discount on remaining items available in the Babylist.com store, which is offered 60 days prior to Expected Arrival Date. The majority of baby products available on the Babylist website have free shipping over $25. But if you add products to your registry from other sites (e.g., Amazon, Babies R Us, etc), you are bound to the shipping policies of those sites. This is store-specific; wherever the gift is purchased, that is the gift wrapping policy you are bound to. So it's unlikely, but you might luck out. There are some additional perks to the Babylist registry worth mentioning: The free Hello Baby Box welcome gift for qualified new registrants, the ability to add "help & favors" rather than just products - need babysitting, dog sitting, home-cooked meals? Put them on your registry! Want to start saving for college? Ask for gifts to your baby-to-be's college fund! Parents without paid parental leave also find the cash fund helpful to offset the strain of taking an unpaid leave. Also able to asked for hand-me-downs like books & clothing. Extensive resource and guide section, including sample registries and a lifestyle quiz to help you select what is best for your family. Their customer service is also great, and their "Happiness Heroes" are available via email, chat, and phone to help you build your registry and to help less tech-savvy gift givers make online purchases! To learn more about the Babylist registry, click here. Third Runner-up: Buy Buy Baby. Did you know that Buy Buy Baby is the baby version of Bed, Bath, & Beyond? You might be wondering why you should care. Well, you know those 20% off coupons you get in the mail but rarely use? You can use those at Buy Buy Baby, giving you a potential discount much larger than some of the other baby registry options (but this is only eligible for a single item). Don't get those coupons? Sign up here at Bed Bath and Beyond and they will send you a coupon via email the next day (they'll also send one to your house). Moms reported that Buy Buy Baby offers a slightly larger selection than Babies R Us, and tends to have excellent customer service (as does Babies R Us). Though gift wrapping is an added fee when using the website, Buy Buy Baby does provide free wrapping paper and tape in the store so you can wrap your own gifts purchases. But Buy Buy Baby doesn't have anywhere near as many locations as Babies R Us, and their prices tend to be a bit higher (thought they will price match with Babies R Us or Amazon if you make a fuss). Of course, Buy Buy Baby has a completion discount (15%), but like Pottery Barn Kids, it doesn't start until after baby's due date. They did just update their policy to include free shipping for items over $29 (used to be $99, then $49, and now $29). Moms report that the return process is easy, and customer service is generally excellent. However, a few of our moms had very strong negative things to say about the Buy Buy Baby gift registry, including difficulty returning or exchanging in store without an original receipt. To learn more about the Buy Buy Baby registry, click here. Our experience with the Walmart baby registry was limited by their flexibility and discounts. The selection at Walmart is amazing, nearly as good as other large online retailers like Amazon, so you're likely to find most baby products you're interested in putting on your registry. And they have an awesome price-match guarantee so that you make sure you're getting a competitive price relative to most other online retailers, like Amazon or BabiesRUs. The list of stores they will price match with is available here. In the increasingly competitive landscape of online retailers, Walmart is second only to Amazon, but you wouldn't really know that based only on their registry. While it has some perks, like the price-matching, free returns within the 90-day window, and a welcome box of sample baby products (like they have at Babylist), they are also pretty limited. First, unlike every other baby registry we reviewed, Walmart does not offer any completion discount, so you won't get any discounts on remaining registry items as your due date approaches. Second, Walmart does not offer any gift wrapping options that we could find; we did figure out that you could set up a gift list outside of the registry and choose wrapping, but we couldn't figure out how to get registry gifts wrapped. Third, one of the biggest limitations is that they don't allow you to add products from other stores, only Walmart. So if it's not available on Walmart, then you're out of luck, unless you make more than one registry. The only sites that offer multi-store flexibility for their baby registries are Amazon, Target, and Babylist. So overall, we're only luke-warm on Walmart, and think there are better options out there. But if you're a die-hard Walmart customer, or you have a store very close to home, then it might be worth giving it a shot. To learn more about the Walmart registry, click here. This is a pretty high end baby registry that is perfect for parents looking for high quality nursery furniture (cribs, gliders, chairs, dressers, changing tables), personalized gifts (like embroidered dolls or cushy chairs), wooden toys like a rocking horse or wooden walker, or several other adorable toys and gifts. Crate and Kids is the boutique kids department that appears in about 50 different Crate and Barrel stores across the country. While there isn't a very big selection of baby gear, what they do sell is hand-selected, stylish, and high quality. Examples include patchwork activity mats and tummy time toys, Land of Nod chairs and bean bags, pull-behind wooden trains, and more. Toys and smaller gifts are usually in the range of about $50 to $200, and cribs range from $400 to $800. So definitely less expensive than Pottery Barn, and they have some of the major crib brands like Babyletto and Jenny Lind (both of which appear in our best cribs list). Crate and Kids is perfect for filling up your nursery with adorable and high quality products, all the way down to the rugs and artwork hanging on the wall. But they do not have all other baby gear you're probably looking for: no bottles, baby monitors, car seats, strollers, carriers, baby gates, or other things that appear in our best baby gear list. If you choose this baby registry you will likely need to get a second registry at another store; that's fine for many parents, but some find it to be a bit too much. In fact, many of the products we found at Crate and Kids are also available at Amazon, so keep that in mind. The Crate and Barrel baby registry does have some decent perks. First, for more expensive items like cribs, you can use the "group gifting" feature that allows several people to pitch in for a single gift. We really liked that feature! Second, the registry completion discount is 10% and you have up to 6 months after your baby arrives to use that discount on any (or all) remaining items in your registry. Third, there is free shipping, but only on orders over $99. Finally, we downloaded their app and found it pretty easy to use, both for adding products to the registry but also for tracking what has and has not been ordered. Cons? Well, it's pretty niche; while Crate and Kids has some awesome and adorable products that were designed by local artists and designers, and you can definitely find some awesome baby gear, you'll likely need to supplement with a secondary registry. Also, the completion discount isn't very high (10%, same as Pottery Barn), and the free shipping is only offered on orders over $99. Gift boxing (not wrapping) is $5.50, and they will include a note for you. With all that said, there are definitely some pros and cons here. While we think it wins out over Pottery Barn, we also think it's definitely not on par with some of the bigger options. To learn more about the Crate & Kids baby registry, click here. Here's an option that is very highly reviewed by the relatively few moms who have actually used it. It's not that it's not a fantastic baby registry (it is), but rather that it tends have more expensive options than our other recommended baby registries, and some moms aren't comfortable asking their friends and family to spend $1300 on a dresser or $1000 on a glider. However, moms note that if your friends and family are comfortable with these prices, the products are definitely very high quality. Pottery Barn Kids does a good job of keeping only options that are soft (blankets, swaddlers, sheets, etc), durable, and have very high customer satisfaction and low returns. In other words, the increased price might be worth it - and in this case, you typically get what you pay for. With Pottery Barn Kids you're paying for higher quality and usually cuter styling. Most moms agreed that Pottery Barn Kids has some of the cutest and most stylish baby registry options out there. So how does it compare in terms of features? Customers can buy online or in store, just like the others. Of course, there aren't as many Pottery Barn Kids stores out there as there are Target or Babies R Us stores (which feel like they're in nearly every town), so it might not be quite as convenient for friends and family. They have a 10% completion discount for a 6 month period, but it only begins AFTER your baby's due date (not before it like the others). If you are having more than one baby (twins, or triplets!) they offer a 10% discount on multiple registry items (so if you ask for 2 of the same blanket, there's a discount). They also have an ongoing $1500 monthly drawing, and your name will be automatically entered into the drawing and you might win that amount towards your registry purchases. Of course, none of the 4 moms who used this registry actually won the monthly drawing, but you gotta be in it to win it, right? To learn more about the Pottery Barn Kids baby registry, click here. Gone Baby Gone! The Babies R Us (BRU) Baby Registry No Longer Exists! The BRU Registry is no longer operating, the registry was shut down in March 2018. 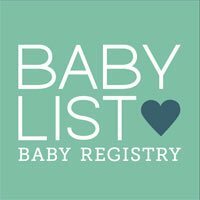 Fortunately, one of the other baby registries is offering perks for people who might be interested in transfering their BRU registry to their site: As of March 2018, Babylist was offering an extra $10 for people who want to transfer their registry to Babylist, which is a decent incentive. In our original review of the BRU registry, the moms we interviewed showed very high appreciation for it, and as many who recommended Amazon and Target also recommended BRU for the best baby registry of the year. Amazon won by a small margin, mostly because their selection and prices are unbeatable, they simply have far more options, and offer free 2-day shipping and free returns which moms noted are both "amazing" and "very reliable." To compete, BRU offered a ton of incentives for new baby registries. These included: endless earnings cash back, with 5% earnings on the first $300 of purchases, and 10% earnings purchases totaling over $300; and earnings were unlimited, and were given to you in the form of store credit. For instance, if your registry had purchases of $2000 total, you would get $185 in store credit that you could use to purchase almost anything at BRU (some exclusions apply, like gift cards, special orders, etc). They also had a completion discount program; you would receive a postcard in the mail about a month before your due date, and the card had a 10% discount code that you used to purchase remaining registry items. Not quite as high as the Amazon 15% discount completion program, and moms noted that it's annoying to wait for the postcard and have to do it manually (Amazon and Target automatically activate the discount once you hit a specific date). There were also some limitations to what is actually eligible for the completion discount: no diapers, formula, furniture, and a few other things. But BRU did offer the best return policy on our list: returns were accepted up to 1 year after purchase! Maybe that's one of the reasons they went out of business - a return window that long makes it difficult to predict revenue. But moms did report very little trouble returning things to the store or online. So there were a lot of positives here, making it a great option on our best baby registry list. There were also some more specific negatives: some items were online-only and not available in stores, and some items were the opposite. Online-only purchases returned through the mail get credited to the person who purchased the item (not to you! ), so definitely return in-store for credit. In any event, the this registry is closed down, as have all of the stores already, and we expect more to close over the next few years. Fortunately, there are many other top rated baby registries to choose from!